It’s always a good idea to seek out and research products and services before you decide to join any program. Today I want to talk about Talk Fusion on whether or not it is a scam or a reputable business model to join. And also whether or not it is a legitimate way to make money online. Talk Fusion was originally founded by a guy named Bob Reina back in 2007 who is now the CEO of Talk Fusion. He wanted to revolutionize the industry by being able to show videos in emails instead of just text emails. Talk Fusion is a business that offers video marketing software to other businesses and clients. They operate via the MLM model (multi-Level Marketing). If you are unsure what MLM is start by going here to find out more about MLM. The principal and concept of Bob Reina’s vision back in 2007 was made by a product that offered something a little different. You can watch the introduction video below. With a huge array of pre-built templates, it makes it easy to send a video email. With the easy drag and drop design interface it can easily increase open rates, click-throughs, replies and forwards faster than you can say Just press play. Android, Apple, PC, or tablet. it doesn’t matter where you are or what device you’re using; Video Chat connects them all. Make video or audio calls and send unlimited messages directly from your phone, browser, or desktop. 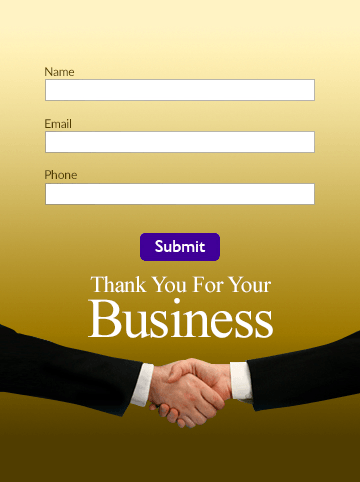 You can place a customized Sign-up Form on your website or Video Newsletter to acquire new leads and grow your mailing list. See the example below. With the gallery of ready-to-use themes and the ability to upload your own images, you can create a unique Sign-up Form that complements your brand, webpage, or newsletter. You can save 10% by paying annually. Talk Fusion is the first and only MLM company in the world to pay commissions instantly just three minutes after a sale. Now that is quite impressive. They pay this to all countries except Indonesia where they use a slightly different strategy. See the compensation plan PDF. Talk Fusion Compensation Plan PDF. Watch this short demonstration video to comprehend how Talk Fusion’s compensation plan works. Your Talk Fusion business is set up as a binary tree. One on the left and one on the right. When you personally make two product sales (one on the left, one on the right), you become a Team Builder. This means you have laid the foundation on which to grow your business, plus you now qualified to earn Team Commissions. Your next goal is to become a Team Leader. To achieve this, teach your two personally sponsored people to build their left and right teams, so they can become Team Builders also. Talk Fusion gives you 10 top reasons to become an associate as outlined below. One of the best features of Talk Fusion is CEO Bob Reina himself. He is one hell of a guy. Not only is he good at what he does for a living but he is a keen animal lover. Personally, that goes a long way in my personal opinion. You can read all about him here. As mentioned earlier one of the good things that Talk Infusion offer is the instantaneous payment of commissions. MLM has a bad reputation, but if done correctly it can work. Talk Infusion has in the past been issued with a lawsuit for being classed as a pyramid scheme. You can see the lawsuit action here. Is this the type of business you want to be involved with? The decision is yours. I am here to tell you the facts, not the hype. Talk Infusion is not listed in the BBB as being accredited. Go here for more information. I cannot find anything ugly about this program. I believe Talk Infusion is a legitimate business model and it is just unfortunate that they have been caught up in a lawsuit. It will be interesting to see whether Talk Infusion does get sued for being a pyramid scheme. Only time will tell. Please feel free to contact me if you have had any dealings with Talk Infusion. You can contact me either in the comments area or the contact or ask me form.